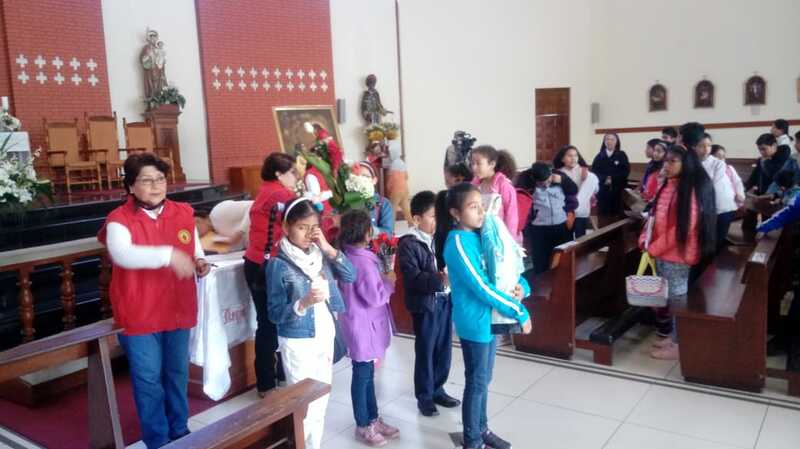 Like every Sunday, this past June 10ththe Mission was approximately with 50 children and their families for the catechism. 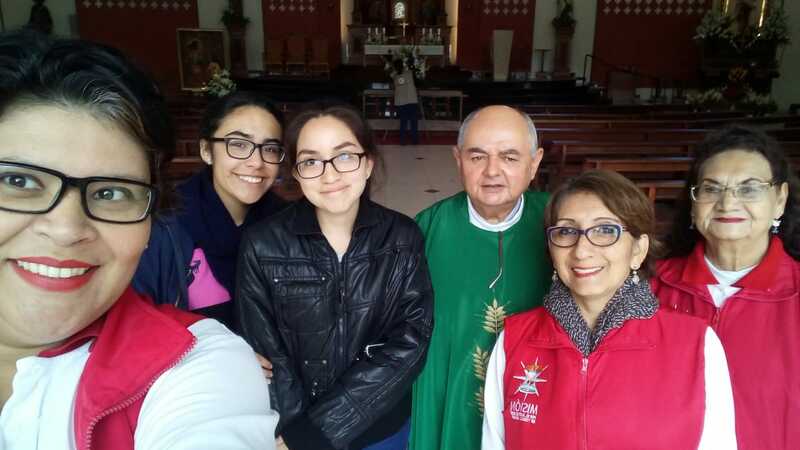 Once it was finalized they all went to participate in the Holy Mass. 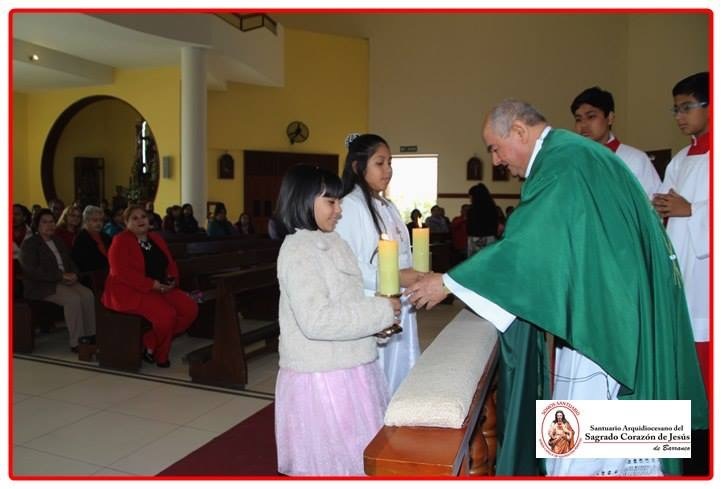 The Mission was in charge of the prayer of the Rosary with the children. 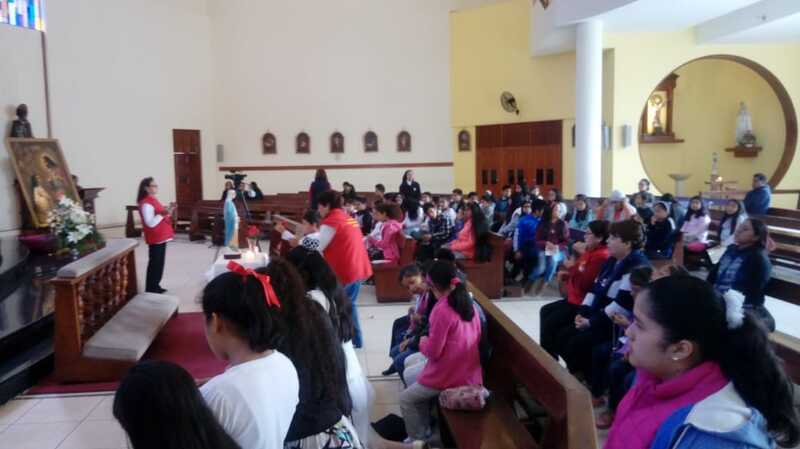 This celebration began with the procession of Our Mother in the center of the church and in each mystery the children took a rose to put at Her feet. 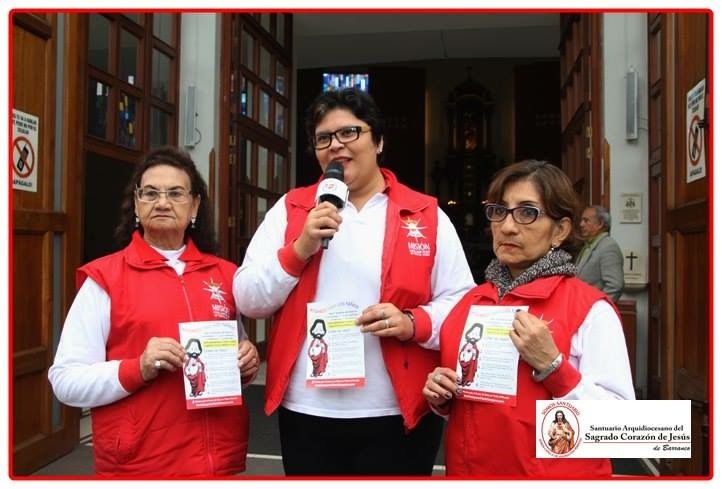 The prayer of the rosary with the children takes no more than 10 minutes. 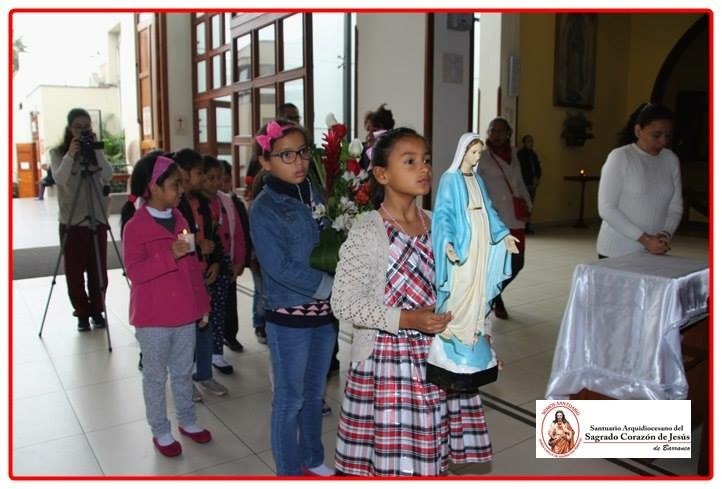 It begins like any other rosary and each mystery is explained to the children but they only pray an Our Father, a Hail Mary and a Glory. 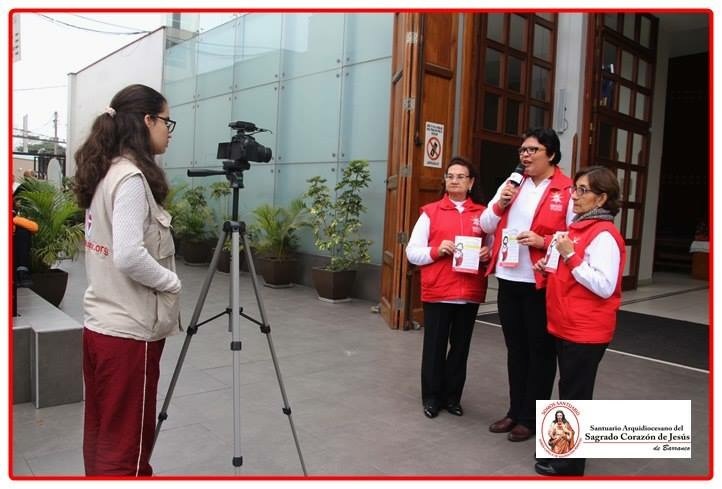 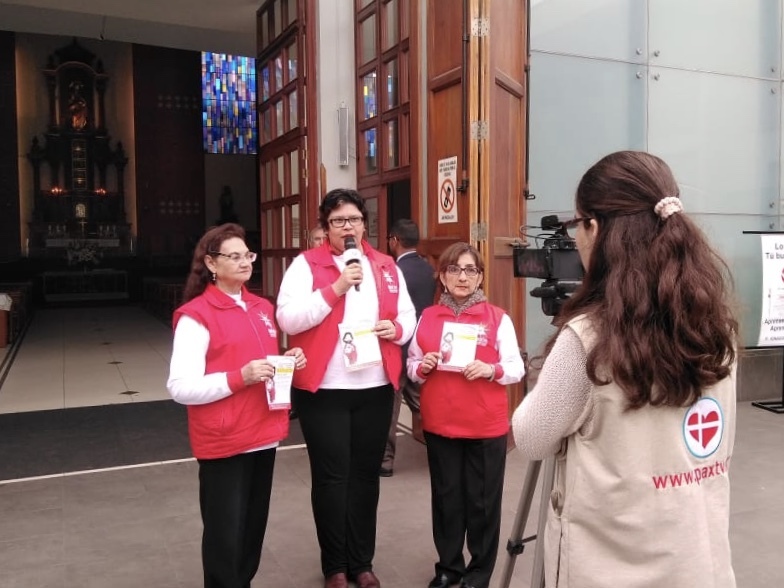 All the members of the Marian groups were in charge of this activity including: Las Semilleras de Legionarias, las Misioneritas de Jesús y María Santísima Sacramentada, the catechism group of First Communion, the children’s choir group called Tierra América and The Mission For the Love of God Worldwide.